Paven nægter at være medlem af Klerikalisme "klubben"
"Jeg ville aldrig melde mig ind i en klub, der vil have mig som medlem"
selvom paven måske aldrig har hørt den sætning, ville han vide, hvad Groucho mente. Groucho's humor had an instinctive suspicion of any establishment. Perhaps because he is the son of Italian migrants in Argentina, Jorge Mario Bergoglio, now Pope Francis, felt what it was like to be outside the establishment of his native land. Whether he did or didn't feel an outsider in Argentina, he brings all the marks of an outsider to his life in the Vatican - from being shocked by the papal apartments where he was expected but declined to live, to dispensing with the formality that goes with the papacy, conceived as a role and status in line with that of European monarchs. Since arriving at the Vatican, Pope Francis has never missed an opportunity to emphasize that office in the Church is not designed for the enjoyment and enhancement of the office holder but so that better and more universal service may be offered to the people the office holder is to serve. In doing away with a great deal of the Vatican's pomp and ceremony, Pope Francis also has abolished some titles in the Vatican such as monsignor. That title, of course, is the tip of the iceberg. Before 1922, if a priest was discovered to be molesting children, he was defrocked and handed over to civil authorities for trial. After 1922, and as required by all popes since then, all handling of clerics accused of child sexual abuse was to be handled in the Church's courts and as a Pontifical Secret - the strictest kind in the Church. That secrecy was so strict that the existence of the decree itself was a pontifical secret, known only to bishops who literally had to keep the decree itself and any related cases in a separate safe to which only he and his vicar-general had the key. Any breech of the secrecy about the existence or associated procedures entailed excommunication, which only the pope could revoke. 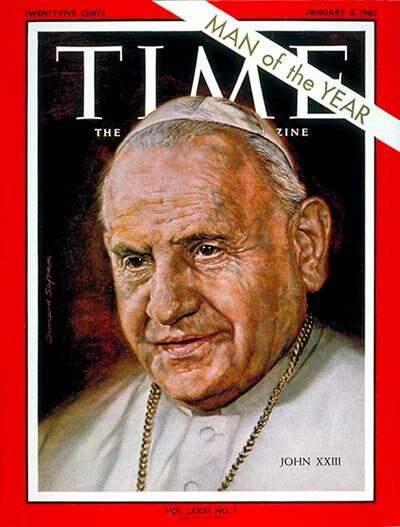 The law - spelled out in the motu proprio Crimen Solicitationis - was promulgated in secret in 1922, reconfirmed by St John XXIII in 1962, reissued with some changes by St John Paul II in 1991 and slightly modified by Benedict XVI in 2010. The law remains in force today and the whole sorry story of how the popes since 1922 have provided one of the strongest reinforcements of clericalism remains unchanged. By not involving civil authorities, Church leadership at the highest level substituted a fig leaf of legal accountability for evildoers and reinforced the "special" character of the clergy as one that was beyond the law. How clericalism worked in this way is spelled out in meticulous detail by Kieran Tapsel in his new book, Potiphar's Wife: The Vatican's Secret and Child Sexual Abuse published in late May. Francis is the third pope in recent times to ask for help in reforming the office of the Bishop of Rome, following Paul VI and John Paul II. He has a perfect opportunity in his own hands right now to start the process and take a significant step to demolishing the culture of clericalism he laments by cancelling Crimen Solicitationis.